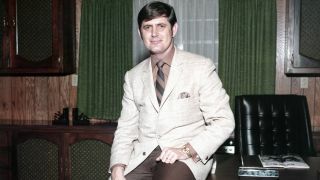 Legendary producer Rick Hall, one of the originators of the classic Muscle Shoals sound, has died at the age of 85, it’s been confirmed. He had been suffering from cancer. Following early forays into songwriting, Hall founded his legendary FAME recording studios in the late ‘50s, and worked with the likes of Wilson Pickett, Aretha Franklin, Otis Redding, Candi Staton and Duane Allman. The studio was also known for its original house band, known as The Swampers (as referenced in Lynyrd Skynyrd’s Sweet Home Alabama). Despite the departure of The Swampers in 1969, FAME continued to have success throughout the 1970s, with Hall returning to his country music roots. He returned to the limelight in 2013 as the subject of acclaimed documentary film Muscle Shoals.